In 2000, I met the woman I wanted to marry and in 2001, I followed her out to Provo and eventually even to BYU. We were married in 2002 and started our lives together at BYU. We had our first born while living in Wymount. We have fond memories of juggling the baby back and forth between staggered class schedules, while my wife worked to finish her English degree and I worked towards a degree in Computer Science. We had good friends and good professors. In 2005, while still attending BYU, I joined the Army. Because of my military obligations, I left BYU with some course work incomplete. Between military obligations, I whittled away at this course work slowly. In 2011, I returned from a deployment to Iraq with one course left, which I was in the process of completing through independent study. Over the years, my wife and I felt increasingly uncomfortable at church. We were both raised Mormon, but increasingly disagreed with church teachings. During this deployment, I decided not to attend any Mormon services. I felt so much more at peace – my actions could finally be consistent with my beliefs. I didn’t feel like I was constantly presenting a false front. 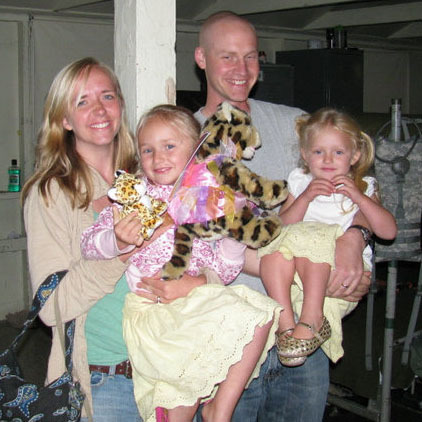 When I returned from Iraq, my wife and I moved into a new house in Orem. We decided to get a fresh start in our new neighborhood and make a clean break from the Mormon Church. We went completely inactive. However, after completing my final class, while applying for graduation, I discovered I needed an ecclesiastical endorsement just to receive a diploma. Having been associated with BYU for years, I knew the Academic Honesty policy. I knew the policy concerning students with disabilities. These were on every syllabus. I knew the honor code. This was reviewed with me every year when I renewed it. I was not aware that I needed an ecclesiastical endorsement just to get my diploma. I was also not aware that my inactivity and expressed disbeliefs had put my ability to get an endorsement in jeopardy. I was not aware that Mormon’s could not change their religion while attending BYU, and continue to attend as non-members. This was a gut-wrenching discovery. I had completed all my course work. I was not taking any space from any believing, active Mormon. I just wanted a certificate to show my hard-earned credentials. But getting this piece of paper was completely dependent on the whim of a man I had never met. After setting up a meeting with the ward bishop and laying out my situation, it was obvious he wanted to follow the school and church guidelines concerning the honor code, but that he didn’t know what to do in my unique situation. After several appointments with the bishop and stake president, and several calls to the honor code office, we came to an agreement: I would attend church until I received my diploma, and they would grant me an ecclesiastical endorsement. The bishop expressed that the only reason he felt he could do this was because I was no longer attending classes. I am certain that previous bishops I’ve had would not have been as generous. Up until this point, my wife and I had fond feelings towards BYU. Up until this point, my wife and I had mostly fond feelings towards the Mormon Church. We may have had irreconcilable differences, but the church still felt like family. However, the threat of withholding my diploma because I no longer went to church or believed its teachings felt controlling and manipulative. I had worked for years to earn this degree. It was a bitter ending and made me even more glad I left.